manually and run a scan. 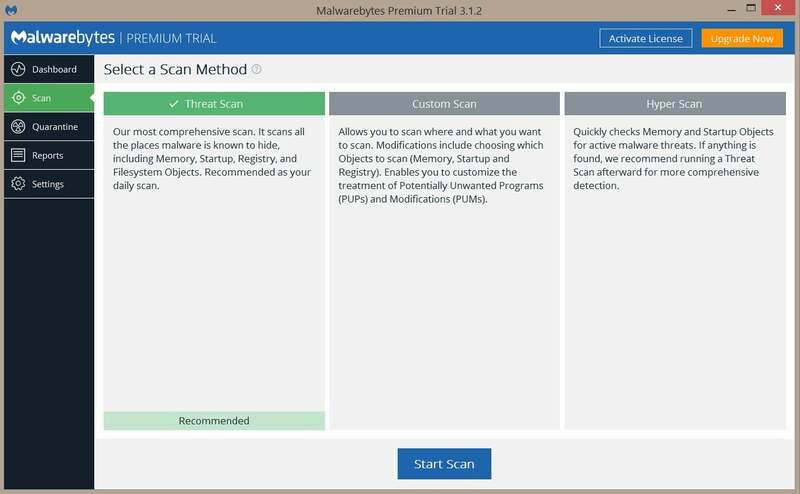 You should have only one real-time antivirus program installed at a time, but you can have many on-demand scanners installed to run scans with multiple programs, thereby ensuring that if one program misses something a different one might find it. Choose Threat Scan to perform a basic analysis of your computer’s most commonly infected files. 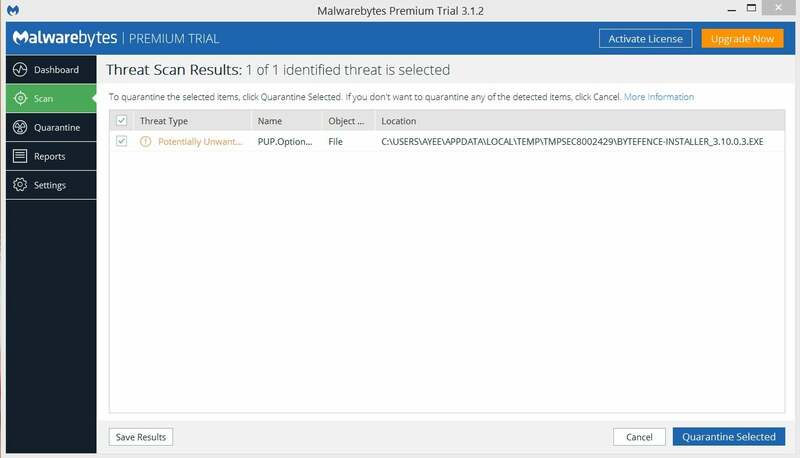 Malwarebytes presents the results of its scan and lets you remove the offending bits with one click. Make sure that your homepage settings are correct before launching Internet Explorer. If you can’t seem to remove the malware or if Windows isn’t working properly, you may have to reinstall Windows. But before wiping your hard drive, copy all of your files to an external USB or flash drive. If you check your email with a client program (such as Outlook or Windows Mail), make sure you export your settings and messages to save them. You should also back up your device drivers with a utility such as Double Driver, in case you don’t have the driver discs anymore or don’t want to download them all again. Remember, you can’t save installed programs. Instead, you’ll have to reinstall the programs from discs or re-download them. Once you have backed up everything, reinstall Windows either from the disc that came with your PC, by downloading the installation image from Microsoft, or by using your PC’s factory restore option, if it has one. For a factory restore you typically must press a certain key on the keyboard during the boot process in order for restore procedure to initialize, and your PC should tell you what key to press in the first few seconds after you turn it on. It there’s no on-screen instructions consult your manual, the manufacturer, or Google. Always make sure that you have a real-time antivirus program running on your PC, and make sure this program is always up-to-date. If you don’t want to spend money on yearly subscriptions, you can choose one of the many free programs that provide adequate protection, such as Avira Antivirus Free Edition and Bitdefender Antivirus Free Edition. If you’d prefer a more robust AV program, we recommend Norton Security Premium—see our roundup of the best antivirus software for more information.